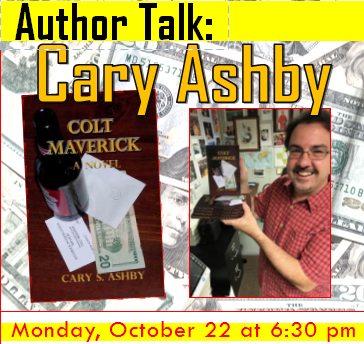 Norwalk resident Cary Ashby shares excerpts of his debut novel, Colt Maverick, during this author event and book-signing. Colt Maverick is a retired NFL player-turned successful private investigator who has been hired to find the missing wife of a high-profile but secretive businessman. Since 2004, Ashby has been a staff writer for the Norwalk Reflector, and is a long-time blogger/reviewer of the comic book industry. Please register for the event here.